2nd May 2018 | No Comments on Calling All Supporters! 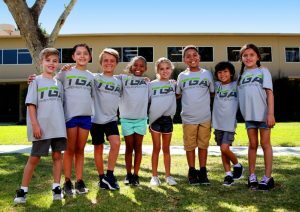 TGA camps offer opportunities build friendships, learn about the academics behind sports, and stay active throughout the day. Studies have shown that more than 1 in 3 U.S. children and adolescents are considered overweight or obese. Children are also not getting enough physical activity or eating enough healthy foods; 92% of adolescents do not meet their daily requirement for physical activity. Summer is an at-risk time for juvenile crime and victimization, but we can help minimize those impacts by giving more kids a safe, fun, and educational environment at a TGA camp. The TGA Sports Foundation, a 501(c)(3) non-profit organization, is working nationwide with TGA chapters to send our youth to TGA summer camps. Click here to head to the donation page, where even the smallest donation helps. Keep reading to learn about five ways summer camps help prepare for adulthood. At camp, kids learn teamwork. Campers work together for the benefit of something bigger than themselves: the team. The camp environment teaches resilience. Kids learn to fall then get back up time and time again. Kids learn to make decisions at camp. Through camp experiences, kids grow confidence and develop better decision making skills. by putting him or her out there and make decisions to get through various situations. Camps provide valuable leadership experience. Campers are encouraged to lead games and stations.